Assess To Identify Opportunities To Remove Roadblocks and Reach Your True Potential! 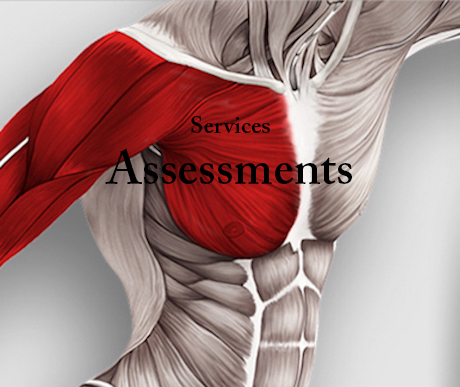 With our assessments, we look at the performance qualities, or attributes related to Health, Fitness, Nutrition, Biomechanics. This allows us to study individuals who are highly successful at a task and use the information we gather to create a baseline for individuals, teams, and organizations to leverage accordingly. As part of our assessments, we’ll examine and assess a variety of performance qualities across key areas of human performance. For Nutrition, we may look at hydration, nutrients, food quality, quantity, and timing. For Fitness, we often assess movement efficiency, total-body power, strength, speed, agility, quickness, stability, and mobility. Health may look at energy, inflammation management, neuromuscular system balance, and sleep quality. From a Mental-Cognitive perspective, we may look at coachability, outlook, beliefs, and emotional balance. The qualities we assess depend on the individuals we’re assessing and the goals of the individual, team, or organization we’re working with. We’ll use our Player Management System to quantify the data we gather. These results allow the individual we’re assessing to understand his or her strengths and weaknesses, and it also provides a measurable picture of improvement over time. Results can be used to compare peer-to-peer performance for teams that must make informed decisions as well as to guide injury management and return-to-performance programming for injured athletes or individuals. The identification of limiting factors that inhibit performance also allows for programming modifications that can help improve performance potential.